Chichester District Council (@ChichesterDC) will be using Twitter to lift the lid on its work on Tuesday 20 November, when it takes part in the Local Government Association's #OurDay campaign. The campaign gives people who work or volunteer in public services the chance to highlight how they improve the quality of life of residents and gives residents the opportunity to get involved and ask questions using the hash tag #OurDay. "#OurDay is a chance for us to show residents the vital work we do every day in their communities," says Councillor John Connor, Cabinet Member for Environment Services at Chichester District Council. "As a council we deliver over 80 services from emptying bins, to licensing taxis, to cleaning the streets, to supporting vulnerable people. "We have officers on call 24 hours a day ready to respond to emergencies. Our Chichester Careline service operates 24 hours a day, every day of the year providing assistance to the most vulnerable members of our community, while our refuse workers are out from 6am collecting waste and recycling. "Residents come into contact with our work every day, often without realising it. This is a chance to engage with residents and make them aware of the vast range of services we provide. "We want to encourage people to follow us @ChichesterDC to get an idea of what we deal with on an average day." Frontline services will not be disrupted throughout the day and no money has been spent on the project, which is being provided by free software and staff goodwill. 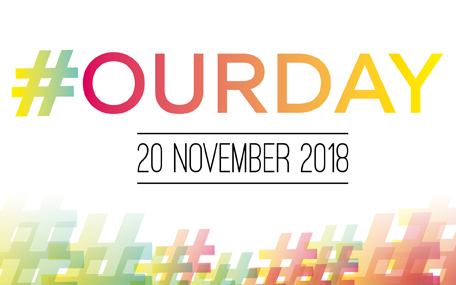 #OurDay has been organised by the Local Government Association, which represents more than 370 councils in England and Wales, and the Knowledge Hub. The LGA is encouraging as many councillors and local authority staff as possible to take a couple of minutes out of their day to tell the world what they're up to as part of a live tweetathon.